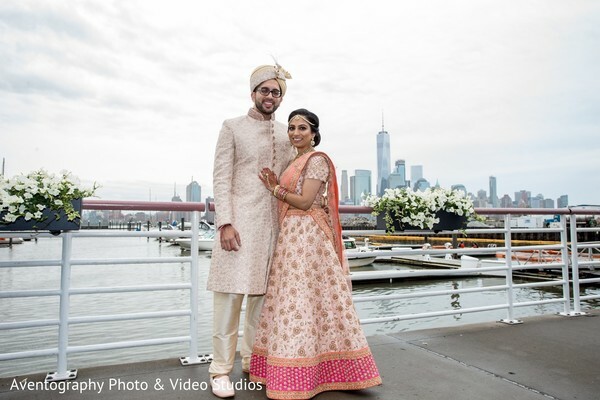 Happy wedding Wednesday, Maharanis! 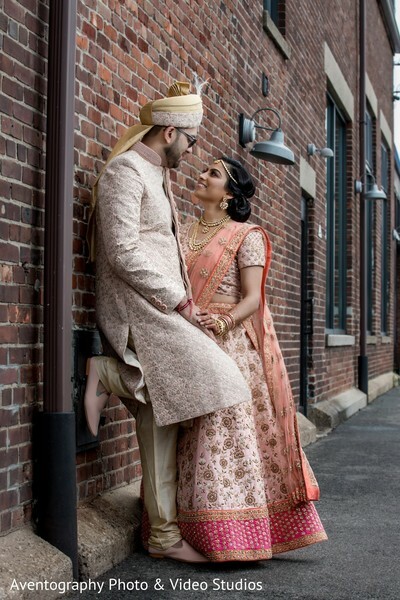 Today’s wedding is full of love, timeless moments and marvelous details. 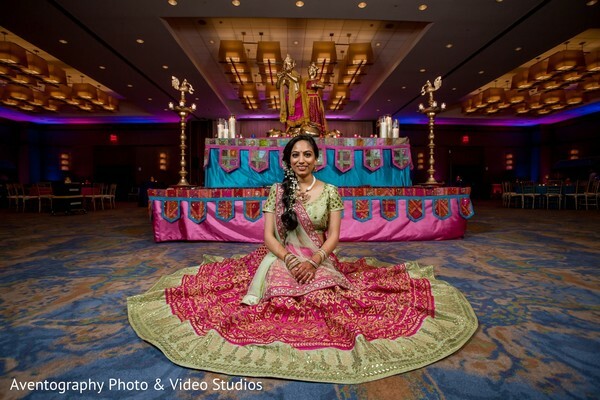 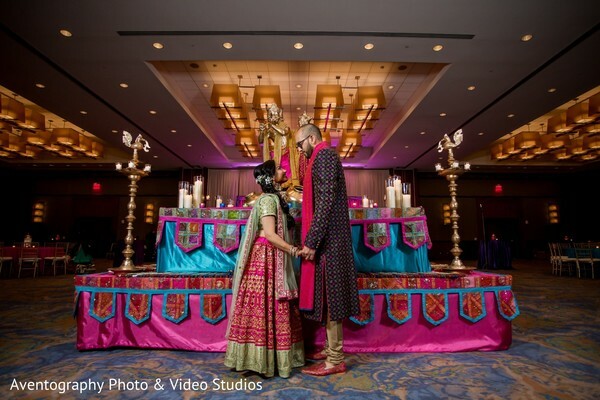 From the Sangeet with its bold bright colors to the lush ceremony, the union was entirely captured by the talented Aventography Photo & Video Studios who created a fabulous timeless for us to relive. 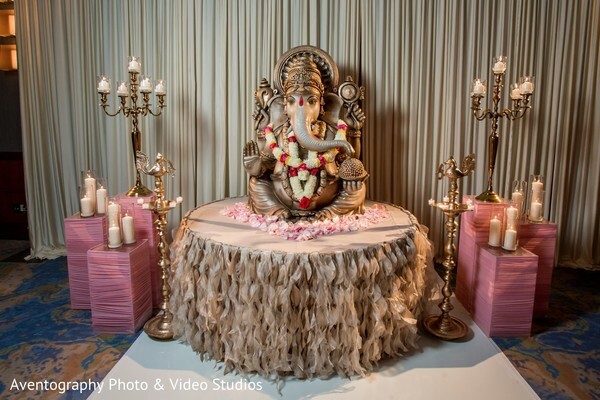 The wedding weekend took place the exclusive The Westin Jersey City Newport where the fabulous staff along with the brilliant wedding consultants of KM Events Management worked together to make the couple’s wishes come true. 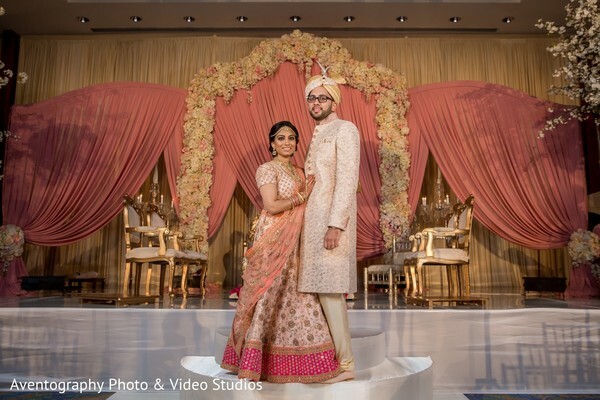 The cream and soft pink color palette used for the mandap reflected the magical mood of the day and the beautiful floral arch took the décor to a higher level, the romantic design was creation of the acclaimed décor team of Elegant Affairs, Inc.! 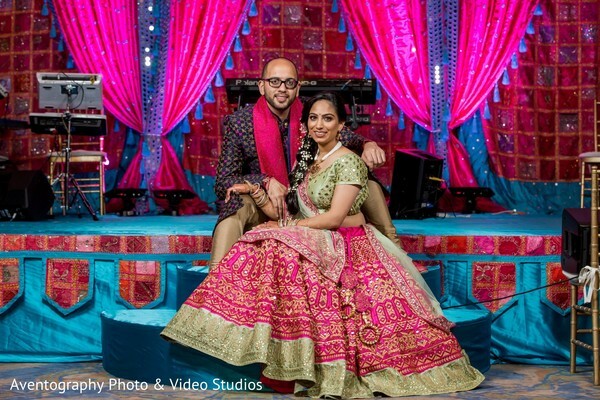 Hanisha's look was a total statement, her baby pink lehenga was ingeniously styled with a matching color dupatta and I also adore how the soft pink sherwani Hanish donned flawlessly matched the bride’s attire. 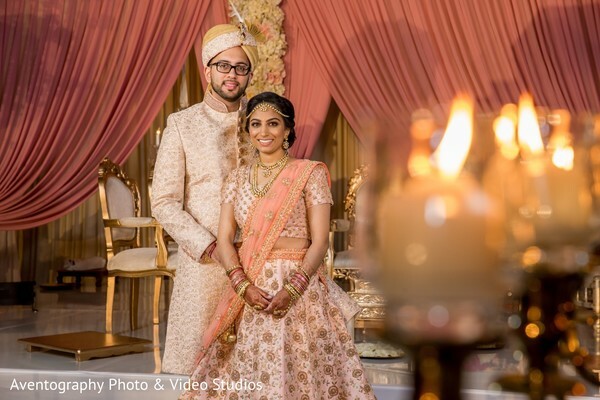 Check out the good-looking sweethearts and their perfectly pretty ceremony in our full gallery! 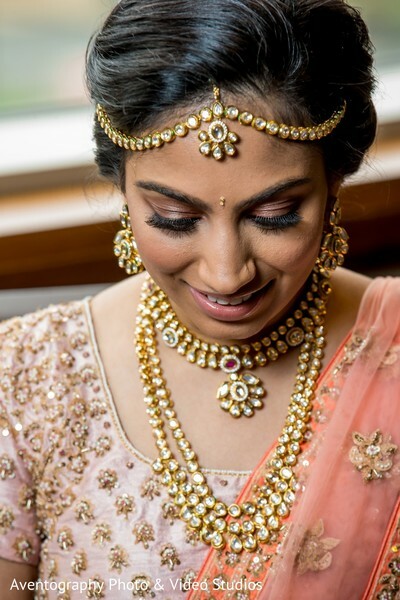 There is a lot more to discover Maharanis! 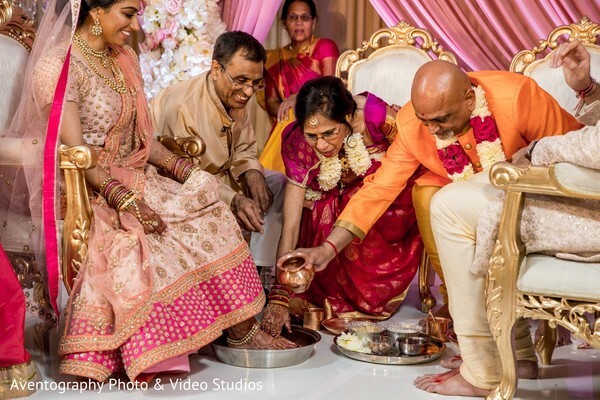 Explore exclusively the reception scenes of this fabulous nuptials in a few!